In my teenage years, through high school, I was an avid chess player. We would spend hours playing chess, reading chess magazines and competing. Believe me, chess can add a lot to one’s life. Unfortunately after the Fischer-Spassky match, my interest waned. The video above is an inside look at another era when a quiet game like chess could affect lives in profound ways. Do you know who the Dogist is? Well, you aren’t alone. I am apparently, out in the cold on this one and maybe it is because I don’t have a dog (although I do like dogs; a lot!). There are many who do know and enjoy the work of Elias Weiss Friedman aka “The Dogist.” He is doggin’ it and really having a good time! Photography: Peeping Tom or Rembrandt? There is an interesting issue involved with personal privacy and photography nowadays especially when considering the popularity of street photography and recent attempts in some places to outlaw the art form. 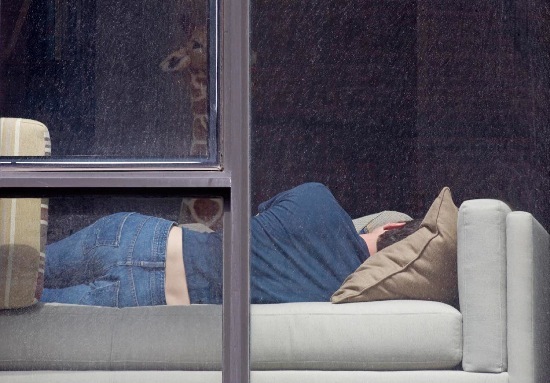 Photographer Arne Svenson has created a project called “The Neighbors.” He has focused his lens on the lives of Manhattanites, apparently his neighbors, by photographing them with a telephoto lens through their open windows. If this were you in the picture below, would you be offended? Would you feel that your privacy had been violated? If your face was identifiable would that change your opinion? As a fan of Edward Hopper and other artists who depicted day-to-day life in a stylized fashion, I enjoy these photographs and appreciate the artistic vision behind them. According to this post via PetaPixel, two of Svenson’s neighbors pictured in the project sued him claiming their privacy had been violated. For now, however, the courts have decided that the work did not violate NYC’s right-to-privacy law which prohibits using a person’s likeness for commercial purposes without permission. Svenson’s work was declared “art” and not used for “‘advertising or trade'” purposes. The ruling may not be final as the door appears to have been left open much like the windows in the pictures. There is no easy answer here. Read some of the comments and you can see that this raises many issues which will only get more complicated as technology increases our ability to reach further into the world undetected.